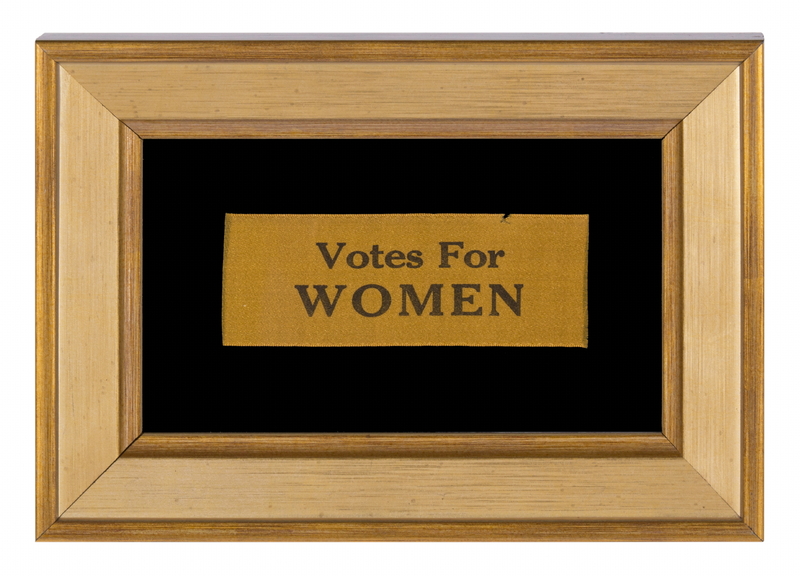 Frame Size (H x L): 6" x 8.5"
Flag Size (H x L): 1.5" x 4.25"
Suffragette ribbon, made of silk and overprinted with text that reads "Votes for Women" in black ink. 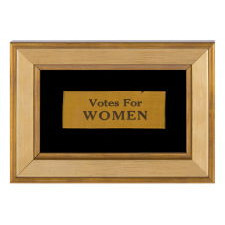 These could be worn on the lapel or utilized in any sort of manner to adorn hats and clothing. 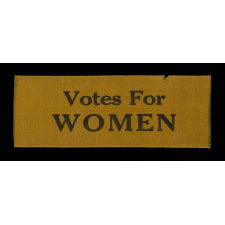 American suffrage items were generally yellow with black text, though there was a myriad of organizations and some distinguished themselves through the use of different colors. 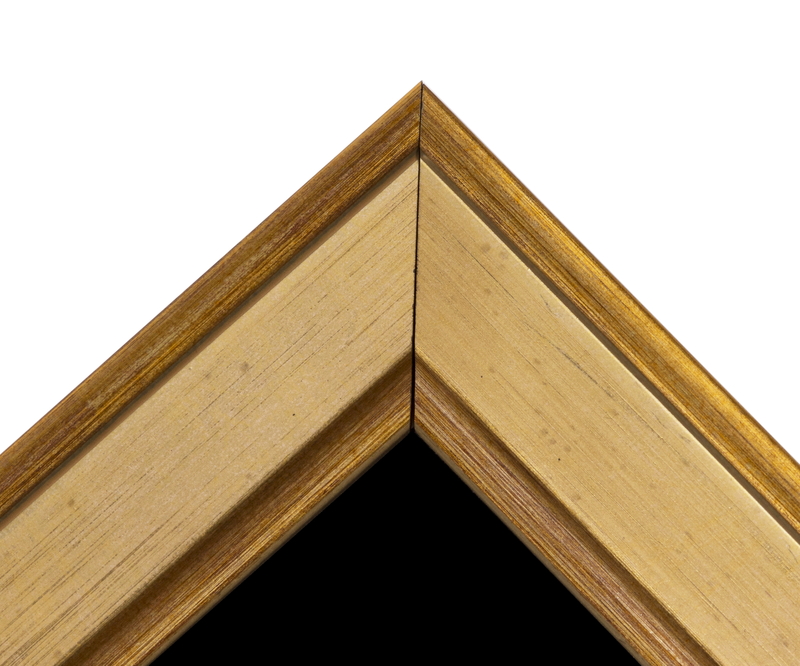 Mounting: This is a pressure mount between 100% cotton twill, black in color, and UV protective acrylic. The background fabric has been washed and treated to reduce and set the dye. 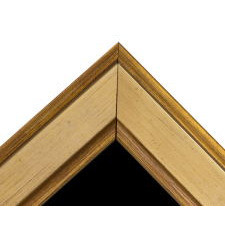 The gilded molding has a beveled profile with a concave inner lip and a beaded outer edge.